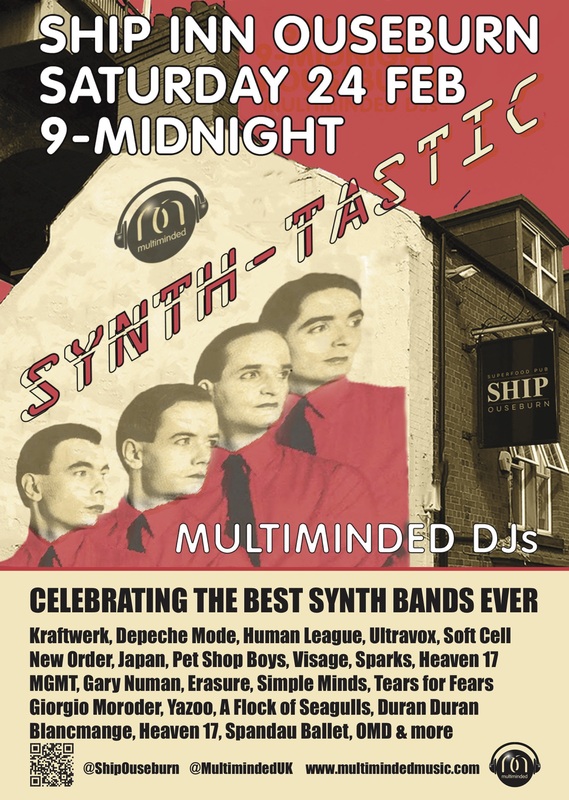 A night celebrating the best synth bands ever including: Depeche Mode, Human League, Kraftwerk, OMD, Visage, Japan, Pet Shop Boys, Soft Cell, Sparks, Heaven 17, Spandau Ballet, Cabaret Voltaire, Gary Numan, New Order, Duran Duran, Giorgio Moroder, Yazoo, A Flock of Seagulls, Ultravox, Simple Minds, Eurythmics, Erasure, MGMT, M83 & many, many more. We knew this one would be big but had no idea it would take off so quickly. It wasn’t long until we had just under 700 people interested in the event via the event page and no way could we get that many in the venue. And then the lovely Lauren Laverne mentioned it on her BBC radio show along with another event of ours that weekend (The Mark E Smith/The Fall tribute Totally Wired at the Cluny) and loads more people heard about it and came down. Unfortunately, they couldn’t all get in and for a while people couldn’t even dance as it was too full. But it all worked out in the end and we’re currently planning our next one in a bigger venue so everyone can come next time. Can’t wait.